Application Development and Management – With its unique and well tested project management framework, RAD has been able to deliver project with high quality and on time repeatedly. RAD processes are concise and adequate to streamline the development process and enhance productivity. 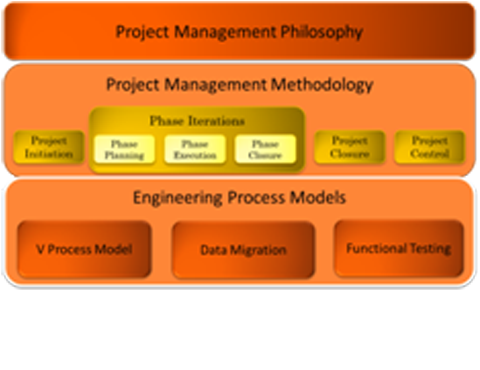 The Project management framework is driven by the project management philosophy, based on which the project management processes are laid out. In addition, there are different Engineering processes methodologies which can be used based on the project type. The framework also provides templates forms, Best Practices and Lessons Learned which have been derived and standardized based on the project experiences.